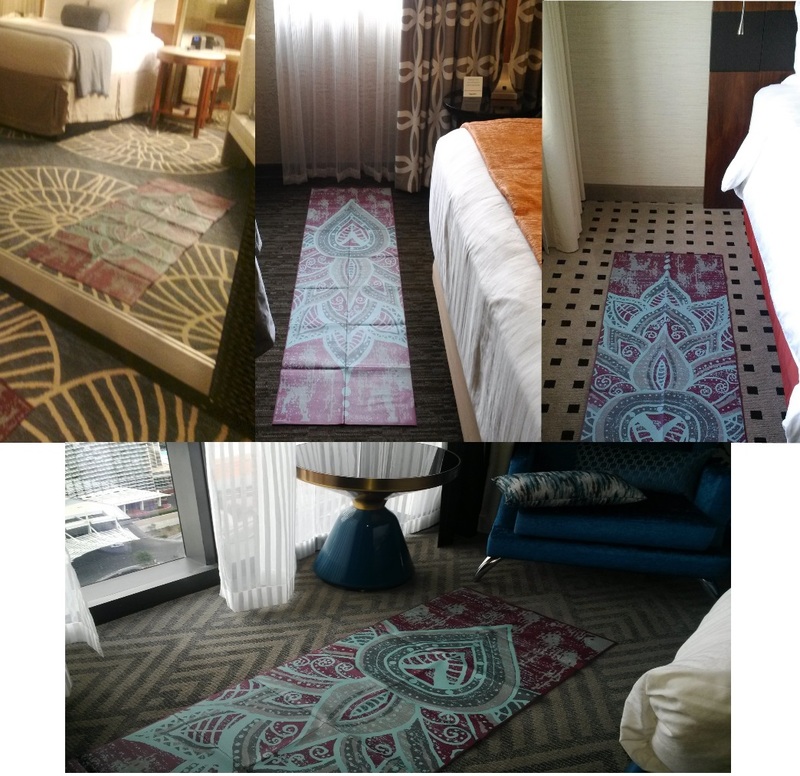 When my work travel started picking up, I bought a folding yoga mat to take with me. I selected a Gaiam brand mat that I found on Amazon. It folds up to about 10 x 12 x 2 inches. Was $25 I think. While it's quite a bit thinner than my regular practice mat, it is working well because hotel rooms pretty much all have carpet in them. Now I don't leave home without it. It is the first thing I unpack. Laying it out on the floor reminds me that I want to practice. Even if it is just 10 minutes of child's pose and a couple twists or a few squats and crunches. It is the last thing I pack. Again, 10 minutes of doing something nice for my body before heading to the airport makes a big difference in how I feel. My travel yoga mat getting lots of use on the road.